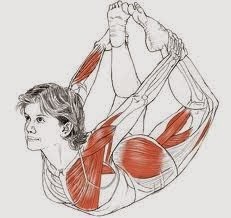 A perennial favorite to observe, Dhanurasana, the bow pose, is a deep backbend that also engages the pectoral (chest), gluteal (rump) and hamstring (back of the thigh) muscles. 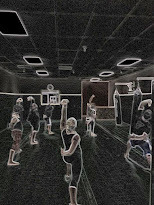 Holding the ankles while kicking back into the hands pulls the torso off the ground and articulates the vertebrae. This stimulates the gastrointestinal system so aids digestion, including healing long term digestive problems, with regular practice. 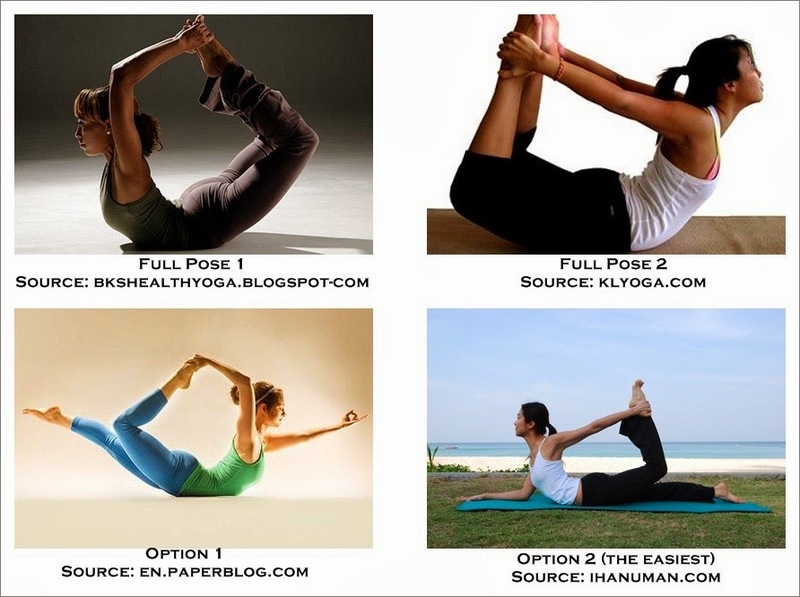 Of the variations shown below , all can be called "floor bow" as opposed to a standing variation in which the practitioner stands on one straight leg and forms the bow-shaped pose with one leg and one or two arms. 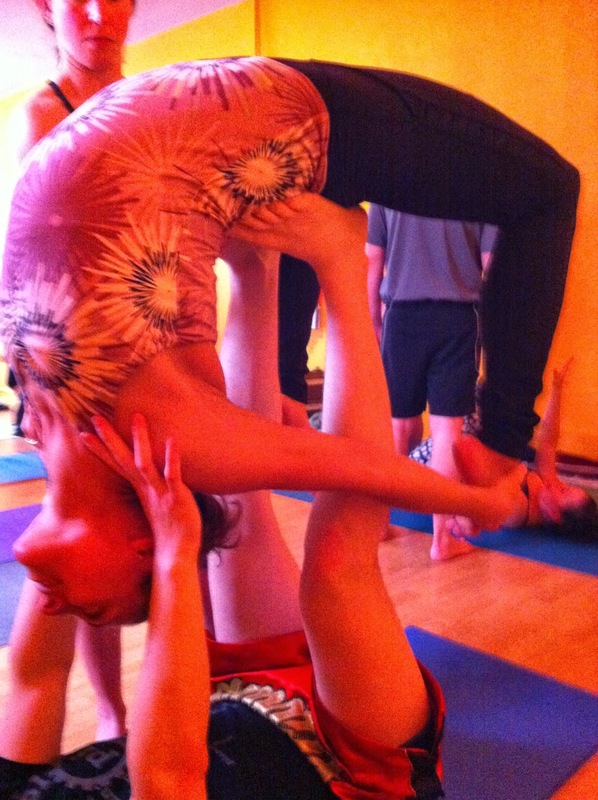 Me in supine bow, with my hubs as base, in acroyoga. 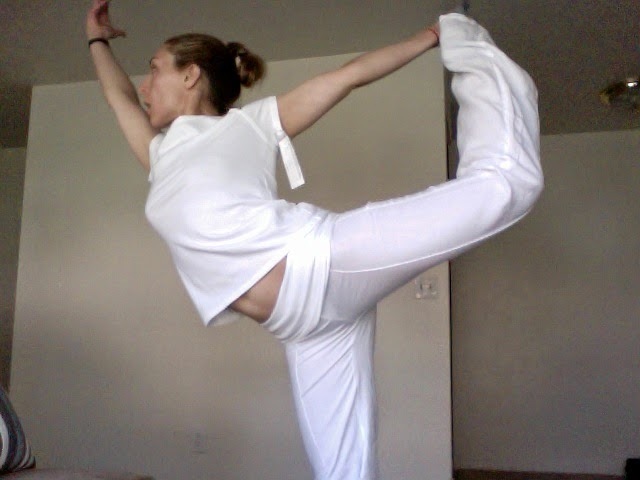 Standing bow, by yours truly. 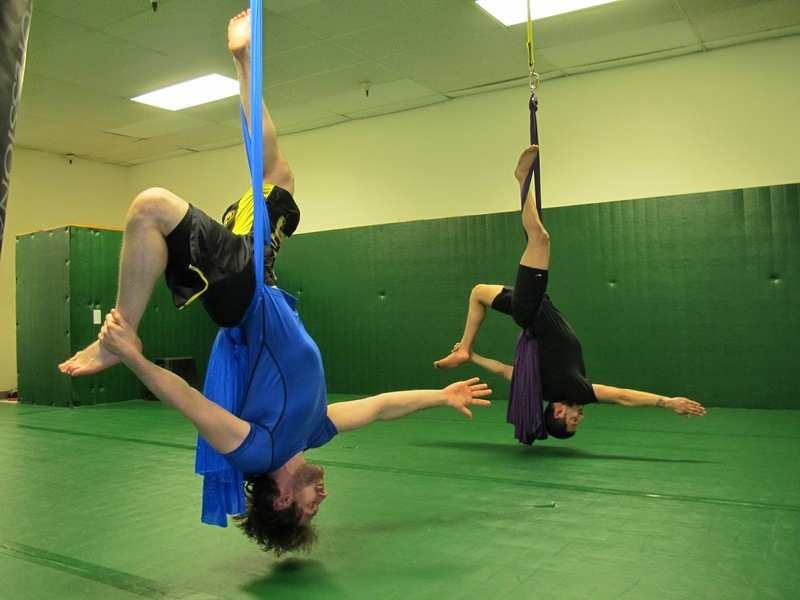 My students in inverted standing bow, on aerial yoga silks.